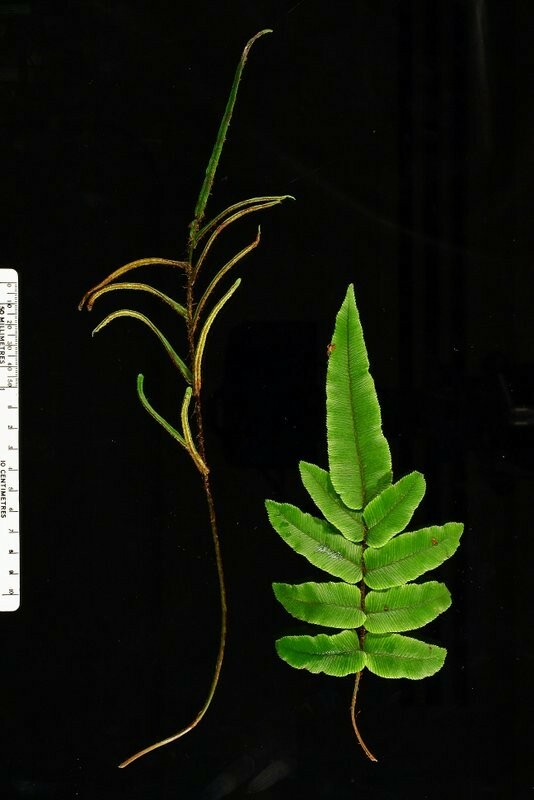 In some ferns sporangia are restricted to special fronds with a distinctive form while in other ferns sporangia are restricted to special leaflets in a specific location. 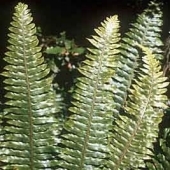 The two types of fronds often differ in appearance, a condition known as frond dimorphism (di, two; morph, form). 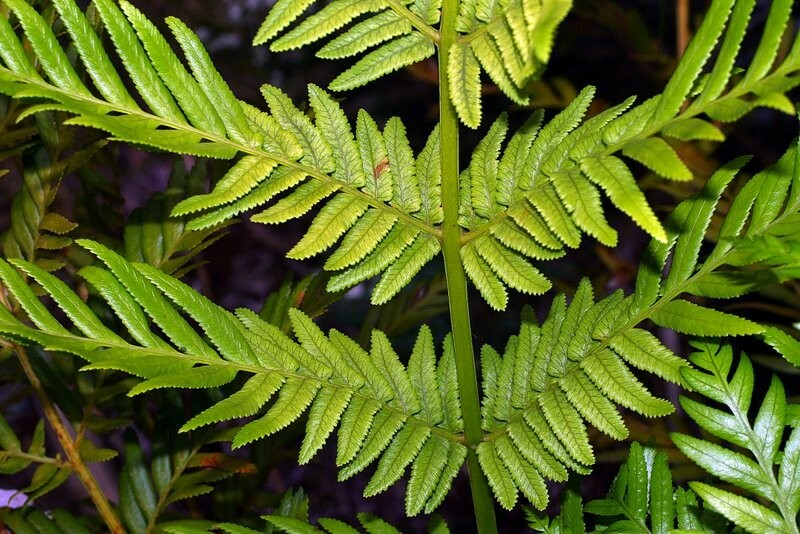 Frond dimorphism is found in many genera of New Zealand ferns. 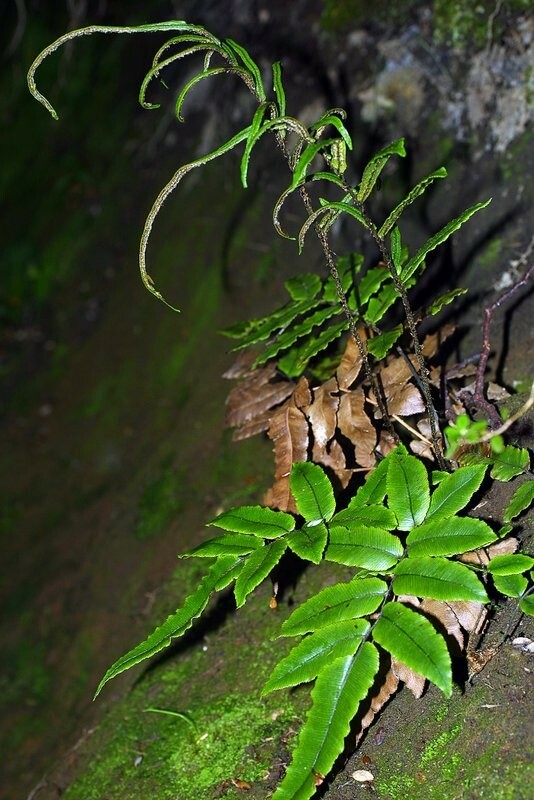 Blechnum procerum- A plant with prostrate sterile fronds and erect fertile fronds. 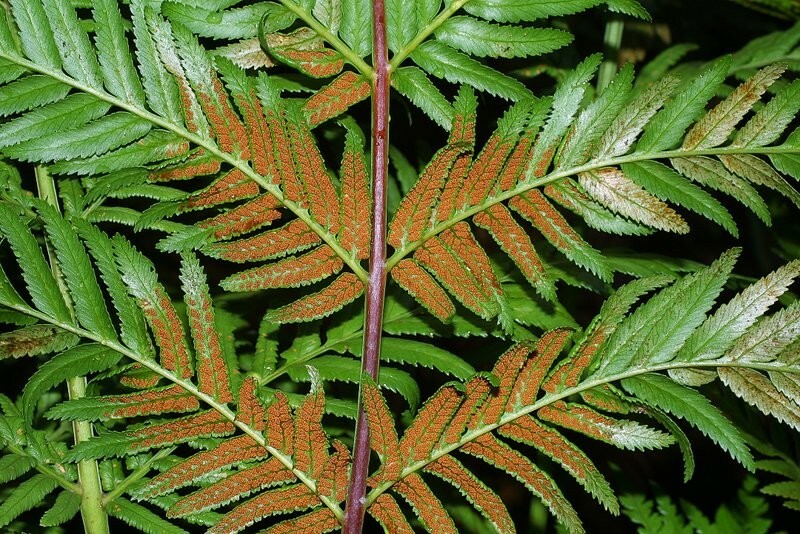 In some ferns all the fronds have a similar appearance but only some pinnae are fertile, eg. the sporangia are restricted to specific locations on the frond. Todea barbara - Basal portion of a frond, upper surface. Only the basal pairs of secondary leaflets bear sporangia. These often differ in size from the adjacent sterile leaflets. Todea barbara - Basal portion of a frond, lower surface. Sporangia are resricted to the fertile secondary leaflets.